What do you expect from a soap? 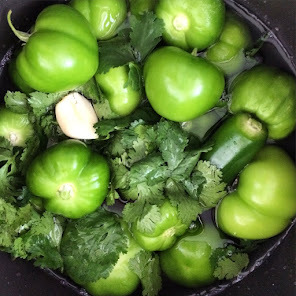 There are the basic anti-bacterial & moisturizing properties. Then what? Picking a soap is not so easy. As you walk through grocery stores, department stores or even your pharmacy you will find more and more options. Some have fancy wrapping, some have a signature scent or have a special design. But can they live up to their own hype? I recently ran across Naturology soaps and they just wowed me. 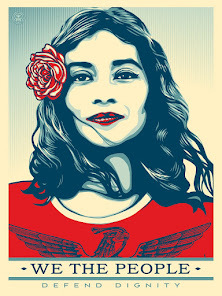 Now did it live up to the test? This mommy thinks so. While taking my daughter to Kids Ahoy indoor play area Naturology caught my eyes. 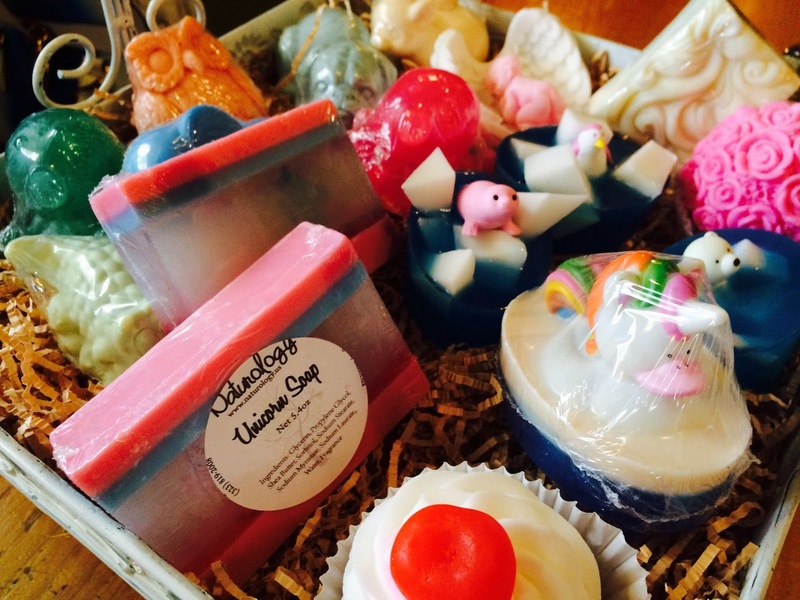 I thought the unicorn dust soap was so darling. I thought, can a soap this cute, be good? I have had my share of soaps that were pretty soaps and not much behind them as far as moisturizing. So, I reached out to the creator of these soaps to learn a little more. Inessa told me about all the behind the scenes of the making of Naturology. First all of Naturology soaps are cured and that take 4-6 weeks to curer. How about moisturizing? 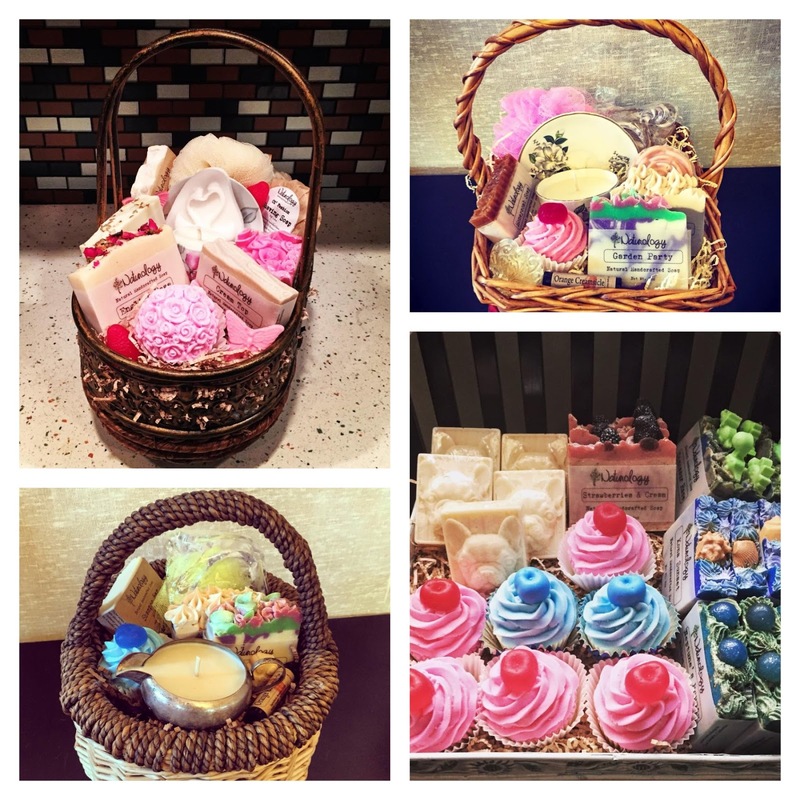 Inessa said, "I would say milk or yogurt soaps are the most moisturizing. 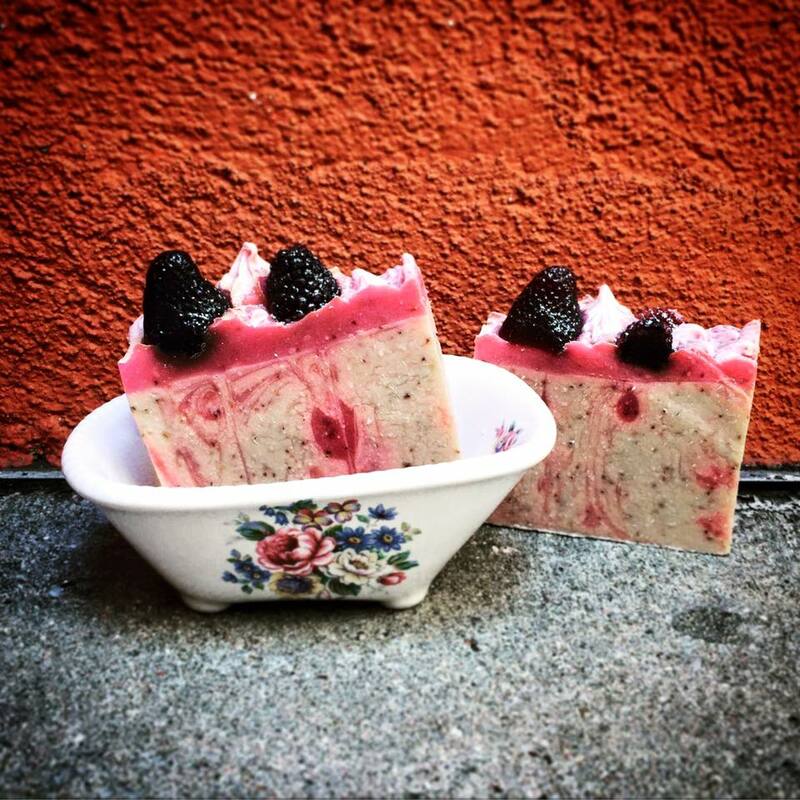 We make soaps with coconut milk, rice milk, goats milk, organic yogurt, etc." Some are more oil based then others. If custom ordered, you can pick for many scents such as Lavender for relaxation. "The most popular scents are peppermint, sweet citrus etc. some of our creations are seasonal, so during holiday time our customers love Cranberry fig scent for example," Inessa tells me. 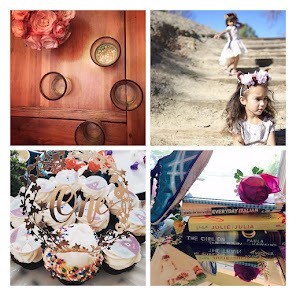 All have essential oils, detergent free and "unofficially" organic. Inesse tells me that, "we can't claim that we are all organic because you would need to become certified, however we use natural ingredients and many organic ones." Naturology has something for every type of skin. 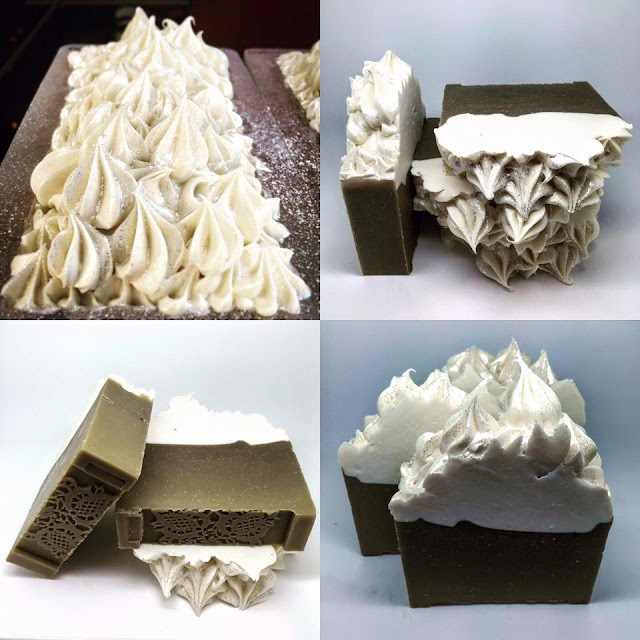 "Pure Olive Oil soap - which cures from 6 months up to 1 year. It feels less foaming but great for newborns, people with skin problems and it is made unscented," says Inesse. They also come on a variety of shapes and designs all handmade in Inesse's kitchen. This is as organic as you can get. My daughters personally loved the unicorn in the middle. And the rainbow duck. 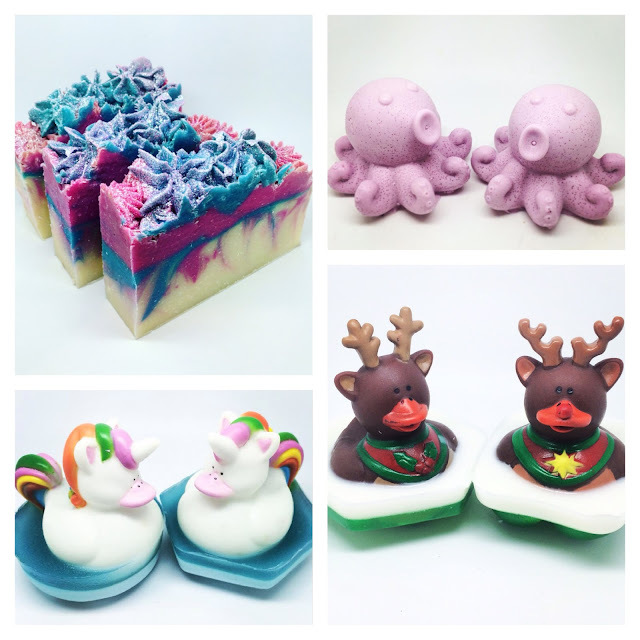 Santa will be stuffing some of these soaps in their stockings. They aren't your traditional Dove soap, which I love too. Naturology adds an element of sophisticated, playful, industrial, and really anything you want it to represent as they can all be costume made. 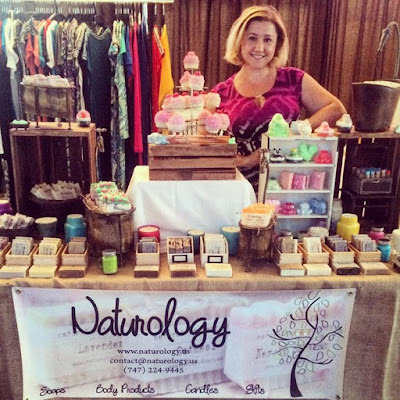 Naturology custom makes soaps for all occasion such as baby showers, bridal showers, care package and great Holiday gifts. One of the best compliments that Inesse has received from a client is, "I am addicted to your soaps." Now who wouldn't love that complete (I feel like this sentence isn't exactly done: love that complete what?). Her biggest fan is of course her son that is always placing custom orders himself from hippos, dinosaurs, and unicorns. I don't know about you, but a soap can be just as hard as picking your food. There are way to many options today. There is moisturizing, energizing, hypoallergenic, antibacterial, therapeutic and so many more combinations that just make no sense. At the end you just pick anyone. 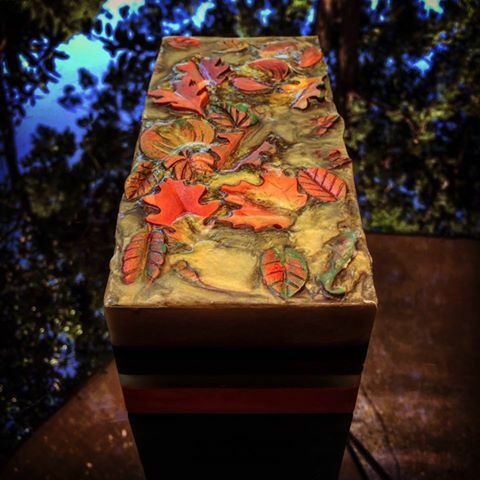 Naturology is one that combines all the wholesomeness of a great soap.